Miami based Gastro Health, LLC ("Gastro Health") recently announced that they have entered into a definitive agreement to acquire South Palm GI, P.A. 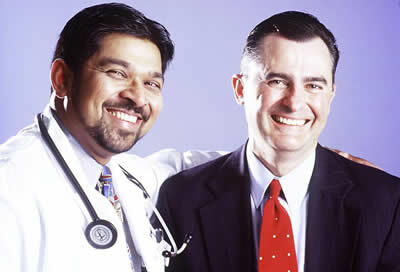 ("South Palm GI"), one of the leading gastroenterology practices in Delray Beach, FL. Established in 1999, South Palm GI is a private gastroenterology practice that is comprised of four physicians: Dr. Michael Blum, Dr. James Chong, Dr. Jonathan Kaplan and Dr. Morris Naus. Additionally, South Palm GI employs an advanced registered nurse practitioner, specializing in gastroenterology. The doctors at South Palm will continue providing the excellent care that their patients have come to expect. This partnership will make additional resources available to the practice, allowing them to offer even more patients the safe and affordable gastrointestinal care they need. All of Gastro Health's care centers are equipped with the latest state-of-the-art technology to ensure the best outcomes possible for each individual patient. "We are very excited to become a part of Gastro Health, which is one of the preeminent leaders in gastroenterology in the United States." said Dr. Michael Blum, President of South Palm GI. "We look forward to expanding our patient care services and continuing to deliver quality gastrointestinal care for our patients." "We are thrilled to have South Palm GI join Gastro Health, which complements our new Wellington location and plans for expansion in Palm Beach County," said Gastro Health, CEO, Alejandro Fernandez. "South Palm GI is a premier practice located in Delray Beach, FL with highly skilled providers and staff. We look forward to helping the community of Delray Beach with all of their digestive health needs." MagMutual Insurance Company, one of the nation's largest medical professional liability mutual insurers, has announced a 10% premium return to policy owners as well as flexible options for its dividend and Owners Circle reward programs. MagMutual policy holders have received close to $200 million in dividends since inception, almost half of which has been paid out in the past six years. "Stock companies give nothing, competitors are returning less and we are paying more than ever before. This is another part of the MagMutual difference," said Neil Morrell, President of MagMutual. Owners Circle allocation recognizing policyholders' ownership in a financially strong company. MagMutual remains the only mutual medical malpractice insurer to establish the value of this obligation as segregated surplus. Based in Atlanta, MagMutual's S. Florida account executive is Dave Dubowy. More than 7,500 people attended this year's 8th Annual ANF Group Tour de Broward, which raised $503,218 to help expand facilities and enhance programs and services for kids and families at Joe DiMaggio Children's Hospital in Hollywood. The February 26 event at Miramar Regional Park featured 50K and 100K bicycle rides, a 5K timed run, 3K walk, and the "Power of Play Kid Zone," a sports-themed, fun area for children 13 years old or younger. Since its inception 8 years ago, Tour de Broward has raised more than $3 million for pediatric healthcare in South Florida. Among those attending were current and former patients/families, more than 150 fundraising teams, and participants dressed in festive outfits and displaying inspirational messages. "We are grateful for all the support we received from the South Florida community and the participation of our patients at the Tour de Broward, which made this year's event a total success," said Aurelio M. Fernandez, III, FACHE, Memorial Healthcare System President & CEO.